Looks like Ralph is back and ready to rumble! The first film was definitely solid and I’ve seen it more than once so I was definitely ready to see what the second one had in store. This one was going to deal with the internet instead of following up on video games which was a risky choice at the time, but in the end the games still do appear. It’s a solid sequel that comes close to matching the first one but does slightly suffer from a weak climax. 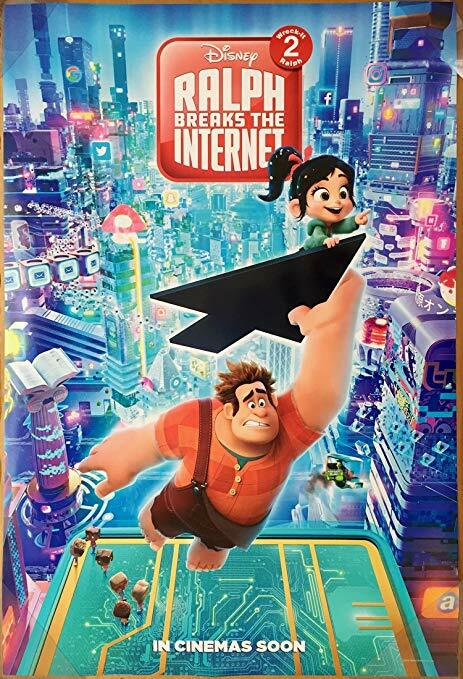 Ralph Breaks The Internet starts off with him and Vanellope hanging out and enjoying their newfound freedom. Life is pretty much perfect for them right now. Unfortunately that all changes when a kid breaks the steering wheel to Sugar Rush and the game is now going to be terminated since there are no more wheels. That gives Ralph the idea to go to the internet and buy the last remaining one from EBay. It’s really pricey though so he and Vanellope will have to earn a bunch of money. After experiencing HD 1080P graphics will the girl really want to go back to her arcade game? If you’re here for the video game aspect then the early scenes will likely be your favorite. We do see all of the old arcade characters one last time even if they aren’t too important to the plot by this point. Sonic gets some lines which is always cool. Then you’ve got the online games like Fortnite which makes a cameo. Since it was in the top 10 Buzztube videos I was hoping Ralph was actually gonna play it for a second. “Where we dropping boyz?” would have been a nice reference. There is also one game that is very important to the plot and fortunately it’s a very fun game. It’s the kind of title that I’d enjoy playing IRL. It’s called Slaughter Race and it’s a very gritty racing game that takes place in an apocalyptic setting. It’s the kind of game that doesn’t really end as you just go around causing mayhem and blowing up other cars. At the same time there is a secret challenge in the game that’s so hard it is worth 40000 dollars in the real world. You have to try and steal Shank’s car away from her. That’s what Ralph needs to do since he and Vanellope need the money but it proves to be quite difficult. Vanellope is still a champion racer like in the first movie so she does give us a great racing scene. As always she has a very confident attitude and the skills to back it up. It’s probably also the first time she has had any serious competition so you can definitely see why she’s excited. Between the game’s graphics and the fast nature of the game it’s definitely a very fun scene. I do think that with her glitching super power coupled with her driving skills Vanellope should have aced this though. Only problem with having the best scene in the film this early on is that the climax had no shot of conquering it. It involves a giant opponent who is a King Kong reference and naturally that means we don’t get any kind of really fast fight scene or race. The ending has a good moral and everything but it’s just not quite a exciting as it could have been. I think having Vanellope race inside of the Slaughter Race game again would have been a better ending. It would have been a moment of truth kind of scene as she proves why the game fits her so well. Meanwhile Ralph’s character does regress a bit here. He’s apparently become very dependent on Vanellope to the point where it’s hard for him to function without her. It’s great that they’re good friends and all, but he certainly does cross some lines when he tries to keep it that way. The virus part just felt a little out of character, it was a little more excessive than I would have expected. It’s too bad since he was really solid in the first film, but I’d have to give him a firm thumbs down this time. Felix and the Resident Evil homage character don’t really appear much here so there’s nothing to say about those guys. It would have been nice to see more of them I guess, but their romance plot seems like it would get very old very fast so maybe this is for the best. Meanwhile Vanellope is still the best character in the film. She was looking out for Ralph which is why she was trying to break the news in a gentle way. Too bad she didn’t realize her phone was off. Reminds me of the recent apple glitch where someone could call your phone through face time and hear you even if you had your phone off. If not for that then most of the trouble probably wouldn’t have been quite so bad. So it’s not her fault, it’s just the tech to blame. (And Ralph) The main new character here is Shank and naturally she does have a lot of scene stealing moments. She makes for a great rival/mentor character to Vanellope and that aids their scenes in being so great. You can’t race yourself after all. I was actually a bit surprised that she didn’t really get to do anything in the climax, but maybe they didn’t want her to steal the show. The writing is definitely very good here with all of the references that are thrown in. I’m happy to report that I can basically recognize all of the references in this one involving the internet. Then you throw in the witty banter and you’re all set. The animation is pretty consistent with the first one. I wouldn’t really say that the animation has improved or gotten worse and as I enjoyed how the first film looked I definitely like this one as well. There were no corners cut in this movie’s production. Make sure you stay after the credits since we do get two extra moments. The first one’s kind of “eh” but the second one’s definitely real solid. Get ready for a blast from the past that you won’t soon forget. It’s easy to see why this certain reference has stayed popular for so long. It’s just dynamite and that’s why it shall never go away. 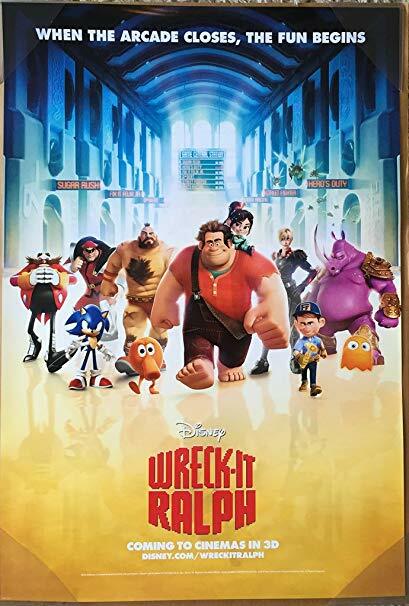 Overall, Ralph Breaks The Internet is definitely a very solid follow up to the original. I do prefer the classic, but there’s not a lot separating these two. They’re pretty much equal in terms of quality and that’s good since it shows that there was clearly some quality effort put behind this film. I’d certainly recommend checking it out. One thing to keep in mind is that they do play a short clip of “Let It Go” which instantly elevates the movie as well. If they ever do come up with a third film I’ll definitely be hyped to see it. I do think this one should spend more time in the actual games though. The best parts of the film are always when they’re inside some kind of game. It’s time to look at a Disney film that came out a while ago. 2012 feels pretty recent at times, but it has been 7 years since then so I think we can say that this film is starting to get old. Still, it’s a title that definitely holds up quite well on the re-watch. There’s only one aspect of the film that’s a bit weak and I’ll touch on that near the end. Otherwise it manages to hit all the right notes and naturally it’s fun to have so many cool cameos. The plot follows a guy named Ralph. He’s the main villain in the Fix It Felix arcade game that people go to the arcade to play. It turns out that all of the arcade games actually have real characters in them and they all hang out after the arcade closes. The problem here is the fact that nobody likes Ralph. They don’t realize that without him there would be no game. Ralph’s a nice guy and tries to get along with the others, but they just won’t have it. They tell him to go get a medal and then they’ll finally treat him with respect. Ralph agrees to these terms and heads off, but getting a medal may be tougher than it seems. You’ll definitely feel bad for Ralph since the whole thing is definitely pretty unfair. He’s got to follow the game script after all and that’s how Felix is able to fix his way to the end. it’s definitely petty that nobody tries to help Ralph out. Even Felix certainly isn’t heroic with how he completely ignores Ralph’s plight. Even by the end it’s hard to take him seriously as a hero, but I suppose he learned his lesson. One really solid part of the film is naturally the fact that they were able to get a bunch of video game icons to show up here. We don’t get Mario, but pretty much everyone else from Sonic to Pac-Man is in this one which is pretty cool. Keep in mind that these are just cameos so don’t start getting your hopes up for them to get a bunch of lines or anything like that. That’s not the point of the movie although I admit it would have been awesome if that did happen. The film would have instantly risen even higher had that been the case. Another reason why the film is solid is the fast paced nature of the title. A lot happens during the adventure so the film never stagnates. Ralph’s quest is always evolving as he tries to get the medal and everyone stands in his way. He’s also a pretty solid lead who can hold his own feature. He’s certainly sympathetic and for the most part Ralph makes the right calls. I do think he was way too quick to bust up her vehicle though. That definitely wasn’t a cool move on his part even if he thought it was for the right reasons. Then we have his counterpart Felix who isn’t a good character. Felix may believe that he is a true hero, but as he never risks his life for the others I just can’t call him that. He doesn’t keep his head in the game either as he gets distracted by Tamora real quick. That leads us to the only weak point of the film. Naturally I’m talking about the rushed romance between Tamora and Felix. That plot really didn’t need to happen and it’s a shame because Tamora had been so solid before that. It just seemed like a waste for her development as it also made her move on from the original wedding too soon. Ignoring the Felix stuff though she was definitely good. Tamora took down quite a lot of the bugs and showed why she is a capable leader. Then rounding off the main supporting cast we have Vanellope who is the best character in the film. It’s easy to see why she is a fan favorite as the girl never gives up. She is always ready to try again until she is able to achieve her dream of getting in the big race. Her quick wit also makes for a lot of fun dialogue. In general the writing for the film was definitely on point. We have a lot of good one liners and solid banter between the characters. We also have good foreshadowing for the final boss of the film. It was definitely good to see this character show up and it’s still a very satisfying twist when you already know about it. It just makes this character get even better. While Wreck-It Ralph isn’t an action film we do get a final fight with the villain and Ralph. Lets just say that strength isn’t always enough to overcome an opponent. It’s a short sequence, but I’d say my favorite part of the film is the action level in a Hero’s Duty. I think a whole film could easily take place here and it would work really well. The setting and plot are perfect for an epic adventure. It’s like Halo meets Metroid. It’s too bad that Ralph wasn’t quite ready for this one, but coming from a very tame Nintendo type adventure it makes sense that he wouldn’t be able to immediately run in and start blasting aliens. I think he’d do better in the sequel if he gets in the same situation. The animation here is pretty solid. They did a good job of keeping the video game aesthetic for the characters. In particular Sonic stands out, but I also really liked the effects for the Hero’s Duty game. It definitely felt very intense and was a nice contrast to the Sugar Rush game that most of the film took place in. The film’s definitely got no complaints from me in that regard. Again, the only real weak point of the film was the romance. Additionally, maybe I’d say that there was some forced drama at the end with Ralph getting tricked by the villains. I think he could have talked things over with Vanellope a little bit better. Overall, This was and still is a pretty fun film. I’d recommend checking it out. It’s definitely quite a bit different from the average animated film and you’ll enjoy it whether you’re a big video game fan or not. The games here are so iconic that you’ll likely have heard of them whether you’ve actually been to an arcade or not. It’ll be interesting to see how the sequel goes. I feel like it won’t be able to beat the first film, but I really don’t know almost anything about the sequel so it’s hard to say. I’ll be seeing it very soon so you can expect a review for that one within the next few days. It’s time to look at the classic story of The Little Mermaid. It’s definitely a very well known Disney film and for good reason. It’s got solid animation, a tight plot, and even good action scenes. This is a very complete Disney movie and one that holds up well to this day. One of these days I ought to do a ranking of the classic Disney titles, but this one would be pretty high. It beats Aladdin, Dumbo, Snow White, Cinderella, but isn’t quite ready for Mulan. The film does a good job of showing off the underwater kingdom and really illustrating how much better it is than the human world. Ariel lives in pretty much a paradise, but unfortunately the grass always looks greener on the outside. She has always had a fascination with the human world and after saving a prince she realizes that she wants to be with him instead of the kingdom. Ariel makes a deal with Ursula that she can woo the prince in 3 days or she will obtain the mermaid’s immortal soul. The stakes are high, but Ariel is ready for action. Right away you can tell that this title is a little more intense than the previous Disney films. Maybe they wanted to take advantage of the fact that is was a newer title, but it is noticeably more violent than the others. Now, when I say “violent” keep in mind that this is still G-PG. It’s nothing crazy, but the stab at the end is pretty brutal and then you have Ursula eating creatures that are still alive. Her lipstick seems to be quite nefarious and then there’s also the scenes of the cook chopping up the fish. It does raise the stakes a bit here as the heroes are in real danger most of the times. There isn’t all that much slapstick or humor during the chase scenes compared to some of the other titles. When the villains are after the heroes it is life or death. The animation is also quite stunning. 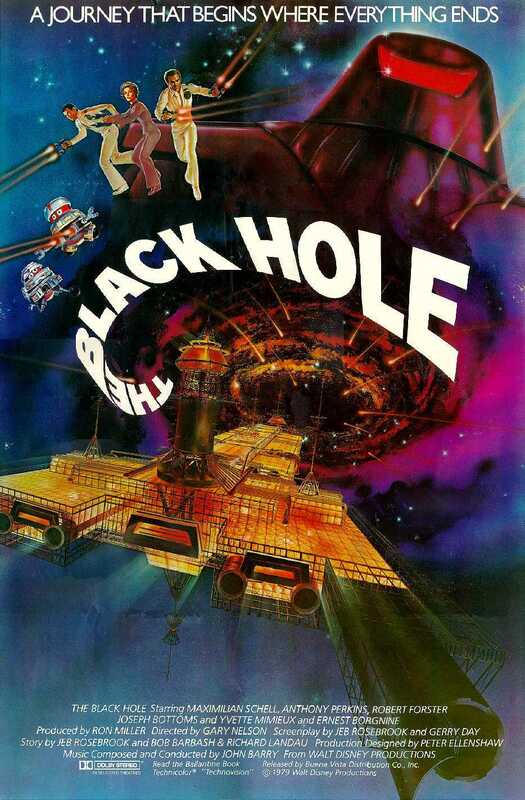 In that regard I can definitely say that this is the best Disney animated flick from this era. The colors are all very vibrant and yes, I did see it in Blu Ray, but I’m sure the film also deserves most of the credit here. Naturally the songs keep pace as well with quite a few excellent tunes in there. In particular Sebastian gets a really solid song “Under the Sea” which is rightfully as popular as it is right now. There really isn’t a weak song in the mix. As expected the pacing is also pretty sound. There’s never a dull moment here and the story is always transitioning into something. We also get development for all of the characters. The Prince even has his own supporting characters like his attendant who wants him to settle down. This is usually where I’d bash Prince Eric for going for rebounds, but I guess he was being mind controlled so it isn’t quite as awful as it usually is. Once the control was gone he went back to being normal and seemed more or less loyal. I can see why he was interested in the voice, at first, but it’s good he tossed his instrument away when the going got tough. You’ll still feel bad for the attendant who has to get hit with all of these shenanigans the whole time. He just wants a peaceful day, but he isn’t likely to get one. Sebastian is definitely the best character here though. He has the hype song of course and aside from that he is always the guy who stays calm and collected. He does try to stand up to the King for a while even if the other characters in the film don’t really give him credit for that. He gets put into a lot of difficult situations and I don’t think we can fairly blame him for most of those. Stuff happened and he made the best choices he could under the circumstances. Then we have Ariel’s friend Flounder. He isn’t quite as resourceful or interesting, but he’s a nice guy I suppose. He’s certainly got Ariel’s back and tries his best to help her. The King is definitely not as reasonable as some of the other Kings. He definitely isn’t willing to hear Ariel out after all, but at the same time she probably should have approached him about it first. I think we can reasonably assume from the dialogue that she did in the past though so even though I’m going in a loop here I ultimately have to pass the verdict that he wasn’t too reasonable. He also gets played like a fiddle against Ursula. He should have aimed anywhere else but at the scroll if he wanted to stop her. Ariel’s a charismatic character of course even if she is a little too desperate to get to the human world. Everyone warns her that this is a bad idea, but she just won’t listen. She did make the right choice in saving Eric regardless though. Just letting someone drown is never the right answer. From there she was doing a good job at fulfilling her end of the bargain if not for Ursula’s meddling. She just shouldn’t have accepted it in the first place. As for Ursula, she’s definitely a pretty solid villain. She’s ready to win at any price and is totally content with playing the long game. Who knows how long she was waiting until someone like Ariel was finally ready to make a deal? She’s clearly gotten other clients in the past as well so her business is booming. 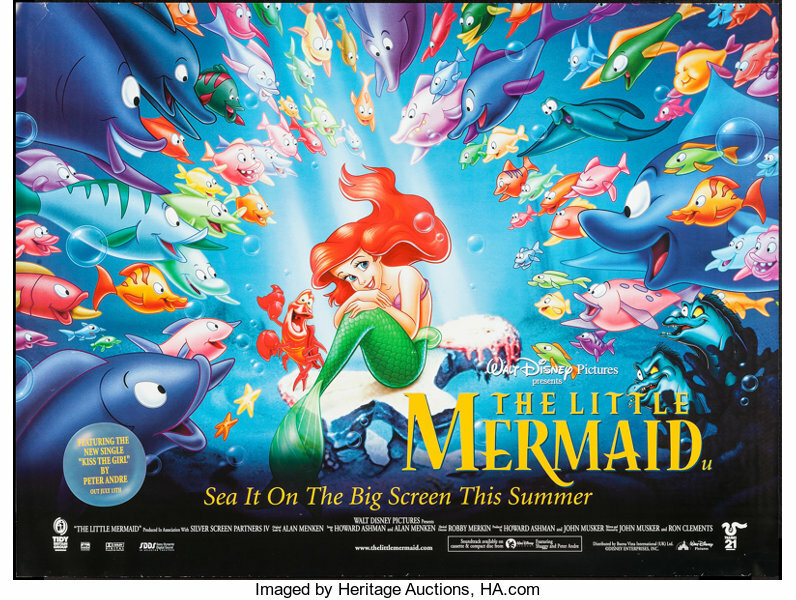 Overall, there’s a whole lot to this story and that’s why Little Mermaid holds up to this day. The action is intense and the graphics are quite sound as well. Throw in an excellent soundtrack along with a solid cast and you’ve definitely got a winner. I imagine that it’ll be tough for the sequel to match up to this one, but naturally I’ll hope for the best. If you somehow have not seen this film yet then I’d recommend fixing that straightaway. It’s definitely a solid title that I’d recommend to any viewer. You can’t go wrong here and at the end of the day it’s just a fun movie. It’s time to look at a pretty well known film here. The Lion King is a movie that almost everyone has heard of and deservedly so. It’s a solid movie with good characters and it manages to be centered around animals while avoiding the animal violence angle pretty well. I’m definitely expecting a big remake of this film soon and we’ll see how that goes. It’ll be difficult to beat the original here. 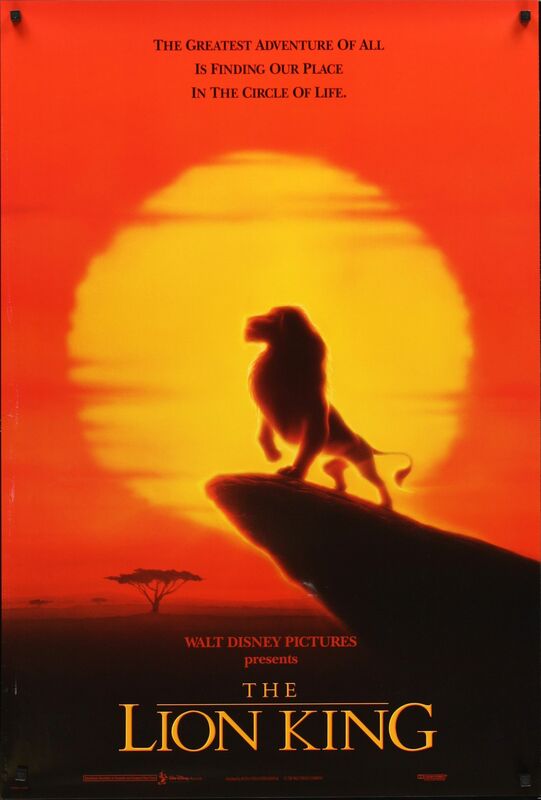 The film starts off with Mufasa having a son. His name is Simba and he is destined to one day lead the Lions. Naturally, Mufasa’s brother Scar is not happy with this since it means that he will never get the throne. This inspires him to hatch a plan to destroy Mufasa once and for all while also tricking Simba into abandoning his village. The plan succeeds and Scar becomes king. Nothing can get in his way now or so he thinks. Simba grows up in the wild, but eventually heads back to his land to make things right. Can he stop Scar and his diabolical plans or is it all over? Mufasa is definitely a fun character even if you know that he’s doomed from the start. He’s a very capable leader and one who clearly helped the lions quite a bit during his tenure. The sheer size of his kingdom is evidence of this. Everyone has a lot of food to eat and whenever there is trouble he is quick to resolve it. He’s basically the perfect leader. His bird sidekick also does a good job of always keeping an ear close to the ground. If anything I don’t think he gets enough respect as the bird does do his job well. He may not be too subtle at times, but he gets the job done. Simba isn’t quite as good a lead. Of course he makes a lot of mistakes when he is a cub so we can’t be too harsh on him but even when he grows up he doesn’t always make the right calls. It takes a considerable amount of convincing to get him back into the village including a conversation with Mufasa. He was very close to just letting the rest of the lions die out so it’s hard to respect Simba as a leader. I just don’t think he has the same level of leadership that Mufasa had. Nala is a solid heroine. She’s definitely a very proactive character who takes it upon herself to find some help for the village while the others simply become resigned to their fate. She was always a good fighter even in her youth so it makes sense that she would be pretty tough. Then we’ve got Scar who is effectively her polar opposite. He’s not all that tough in a fight but he’s all about being crafty in the background. He certainly knows how to manipulate everyone pretty well. Everyone leaves him alone so that leaves Scar free to really do whatever he wants tbh. Timon and Pumbaa are more fun than I remember. Timon is your classic wisecracking character who always knows just what to say. He’s a good guy for Simba to have at his side. Pumbaa brings in the muscle and he is certainly a lot more heroic than Timon. They’re fun supporting characters who never get annoying and are pretty entertaining the whole time. They help round out the cast pretty well I’d say. It’s definitely a pretty fast paced movie so you won’t get bored at any point during it. There really aren’t any big negatives to speak of. The scene of the main characters eating the insects can certainly be a little gross, but fortunately it’s a very quick moment and the film doesn’t choose to drag it out which is a good move. Solid films know when to breeze through a scene rather than extend it and it’s definitely a crucial skill to have. The animation holds up really well here. The animation is as sharp as ever and the characters are very detailed. There was clearly a lot of care put into the movie and I suspect 20 years from now it’ll still look good. While the songs aren’t quite Frozen level they aren’t bad. I think they aren’t quite as good as the average Disney film, but so long as they are catchy and still solid then they’re good enough for me. As expected the writing is also pretty solid. Even if not all of the characters are super likable it’s not as if any of them are super annoying or unrealistic. Scar is nice and sarcastic without being super obvious for example. Overall, The Lion King is definitely pretty good. I have to admit that I was a little worried that the film would step in some holes along the way, but it actually rode between the line of action and animal violence pretty well. I don’t remember the sequel being nearly as good, but maybe it’ll be better than I remember. If you haven’t seen the Lion King yet then I’d recommend changing that. it’s definitely a classic that really lives up to its reputation and that can be quite rare at times. It’s time to look at a game that fans has kept fans waiting over 10 years. There have been a lot of spinoffs and such after KH2 which were all pretty solid but everyone was ready for 3. After all, this one was going to end the arc and wrap up the organization plot. It’s definitely a fantastic game and an excellent end to the trilogy. Following the events of KH2 Sora and Riku took the mark of mastery exam so that they would be strong enough to stop the mastermind Xehanort now that he has returned from the grave. Unfortunately Sora failed and lost all of his powers. To reclaim them he must go to a bunch of Disney worlds and reaffirm his reason for fighting. 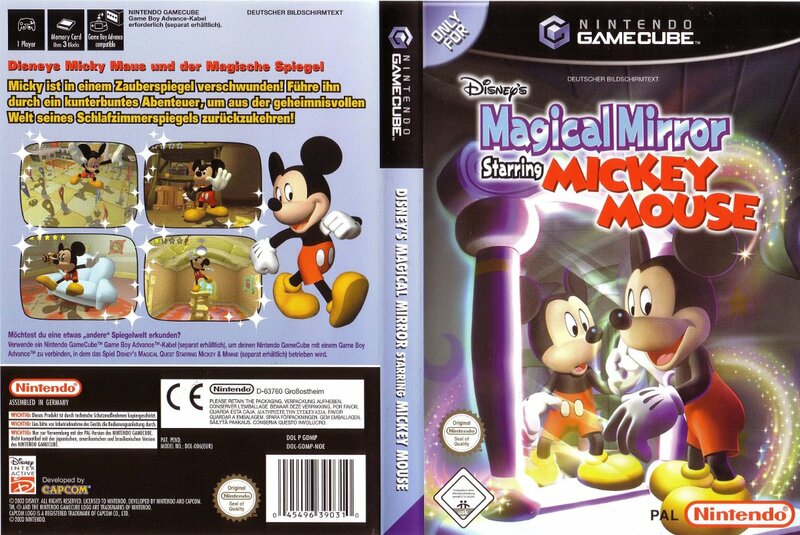 Riku and King Mickey head to the world of shadows to save Aqua and to begin gathering the 7 Keyblade masters. Will that be enough to stop the newly resurrected Organization XIII? As always the gameplay here is a blast. I always enjoy a good 3D action game and the combat is very well done here. There are a bunch of different mechanics to learn and utilize as well so you always feel like you have a lot of options. It’s all very fast paced and one big change is instead of forms like Master, Final, you have temporary super attacks or weapon changes. It’s effectively pretty similar although I liked the outfit changes that the forms had. The super moves range from things like boats to cars, tanks, etc. They’re all pretty handy although their damage output never seems to get any better so towards the end of the game I’d like to have turned them off as the would take up space in my combat zone. (I’m sure there’s a way to select a different super attack when you have more than one option but I was not able to find that out. To make the worlds a little more special in this game, each of them have their own unique gameplay element. In Toy Story you can control a robot, in pirates a ship, etc. It’s pretty cool that they developed so many game modes for this title. It does help to make the whole experience feel even more polished. While playing through the game everything is really sharp. I don’t think you’ll have any gameplay complaints. It’s pretty much perfect and all that you could expect here. Naturally the graphics are quite good as well. The opening is extremely sharp (Although 0.2’s intro is probably still the best animated one) and the graphics in game are also still very impressive. Square is always at the forefront when it comes to graphics and this game does not disappoint. It’s all very detailed and bright throughout. Then we’ve got the soundtrack which is also very solid. The new intro may not be quite as good as the older ones but it’s almost impossible to top those. We still get quite a few solid battle themes here and the final boss theme is pretty intense. The story mode lasted a little over 20 hours, but typically is seems like it usually lasts around 30. III does feel shorter than the first two games and was one of our least played KH titles, but I have to factor in the fact that I was dashing through the game for the most part. I haven’t gone back and done all of the bonus content. Once you do that the game will definitely get very long. The Platinum trophy could take as long as 60-90 hours which is crazy. There’s no shortage of content here, that’s for sure. You’ll also want to make sure that you unlock the secret ending or at least watch it on Youtube since there’s more to the story than meets the eye. While III is a near perfect game, it still does have some issues which keep it from beating KH 2. 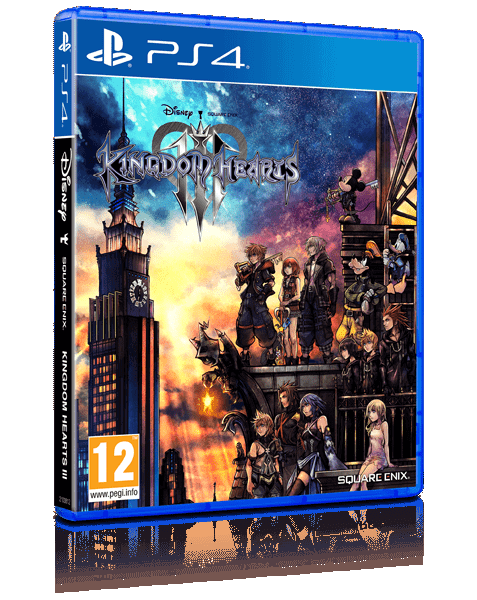 I’d also say that in terms of the plot it’s the third strongest behind Chain of Memories as well although as a complete package I would put it as the second best KH title. As I mentioned, the game does feel a bit short. This isn’t really a complaint because once a game is 20+ hours it is certainly long enough. I just feel that given how long this game took to come out it could have been longer. If anything it feels like they probably just had this game on hold for most of that time because development wise it doesn’t feel like it should have taken much longer than the usual 3 years for a new game. It took so long that I wouldn’t be surprised if some of the code got outdated for the older gen and they had to restart development at times. The story also doesn’t always go in the direction I’d have wanted it to go. I think adding the dolls was maybe not a good move although this technically started a few games back. By creating a life like doll, a soul can go into it and the character is effectively reborn. As such, you’ll see a bunch of old characters in this game. For the villains it can feel a little redundant because we already dealt with these guys a while back. Do we really need to deal with all of them again? Even more than that though, the villains all seem way too strong. The heroes never seem to even stand a chance against them. You know that things are getting dicey when one enemy is able to take out all 7 Keyblade masters. How can they beat 13 Organization members then? The power levels definitely seem more than a bit wonky here. Going back to the plot, I also thought Aqua’s plot was a little off. It seems to me like she could and should have left the dark realm a long time ago. There wasn’t much of a reason for her to stay and doing so almost backfired. Finally, I didn’t care for the ending. Granted, the after credits scene certainly saves it, but otherwise the normal ending will definitely be very unfulfilling when you see it. It makes the whole journey less satisfying because try as he might, one character couldn’t outrun his destiny which sort of proves the villains right from the start. That’s enough of that though. This is still the climax of the arc so we’ve got a bunch of hype moments throughout. If anything you’ll be blasting through the Disney worlds extra fast here because you just want to get to the plot stuff. Typically something plot related happens whenever you leave a world. Naturally the climax is pretty intense as it’s fight after fight. We finally get to see Roxas again which is one of the best scenes in the game. Dark Aqua was also cool and Riku gets his moments even if he does get wrecked quite a bit here. You’ll quickly see why the Heartless tornado is probably the strongest character in the franchise. You’ll be engaged from start to finish during this game. The Frozen section was also impressive as we got the full Let It Go song. I wasn’t expecting that. Lets talk about some of the characters. Sora’s come a long way from the old days and is mostly past his shaken confidence. Still, he has lost most of his powers and has to train up once again. He does begin to lose his way towards the end of the game, but stays strong when it counts. I do think he was right to suggest trying to save Aqua sooner. Without him the others were definitely doomed. Goofy gets a lot of hype in this game as he’s constantly making the most sense. I think the writers were going for some irony here as Goofy appears to be the smartest of the heroes despite the character not usually having that rep. Then we have Donald who is a good ally as always. He gets slightly less to do but his flare spell near the end was definitely hype. King Mickey is solid as usual but he has been heavily nerfed. Roxas is a scene stealer and whenever he shows up you can feel the hype. The guy can dual wield Keyblades so you know that he is serious. If anything it’s too bad that he couldn’t appear more, but I do like the possibilities of him being more of a main character in future games. Axel gets quite a bit of screen time here, but at the same time he doesn’t really do anything. He sort of gets hit by the hero curse where now that he is a hero it seems like he can’t really fight all that well. I think he should go back to using his twin discs instead of a Keyblade. Kairi fans will probably be pretty disappointed with her role. She doesn’t do much of anything and is mainly just a liability. Meanwhile it is nice to see Aqua and the gang also showing up. Aqua definitely looks solid here and Terra has his key moment. Ventus doesn’t do quite as much but he’s always eager to help out, even if everyone tries to stop him. For the villains, most of them don’t get to do a whole lot. They basically just follow orders or pay the price. Two of them start talking about possibly betraying Xemnas, but they never get around to it. Ansem from game 1 doesn’t do much but he’s always a cool villain regardless. Just showing up is neat. Xemnas’ voice feels even deeper than usual and he always makes for an epic boss. Then we have Xehanort who may not be as cool as the first two Ansem versions but he makes for a good final boss as well. I do think there is some plot hax with Sora being able to take him on, but maybe Xehanort underestimated the kid’s potential. Either way, with the organization gone now that means that new villains will be showing up. The game’s ending does give us a glimpse at who these guys will be. I think the heroes can probably school them if it’s a fair fight, but this is Kingdom Hearts so that is unlikely. There will probably be a bunch of mental battles as well as emotional ones. I also get the feeling that we won’t see the 7 Keyblade masters teaming up for quite a while. The villains will probably separate the team and without Sora they’ll all be lost. Sora, Roxas, and Aqua are probably the 3 strongest Keyblade masters at the moment so the rest could all be in danger. Overall, Sora takes the line “My heart’s a battleground” to the next level. Things are constantly happening to him and his friends and their battles aren’t always limited to traditional planets. One of the big bosses is literally fought inside of a heart. It’s definitely refreshing to play a Kingdom Hearts game again and hopefully the wait for 4 isn’t nearly as long this time. I’m ready to continue the saga and hopefully this time we’ll get some actual Final Fantasy representation like Cloud or Lightning to show up and help out. It’s time to look at the recent Kingdom Hearts 2.8 Collection. I’ve played all of the Kingdom Heart games previously but this collection brought a new adventure featuring Aqua and also has a movie which serves as a prequel to the series. As a result, I played those, but didn’t play the Dream Drop Distance remake so my review will not be addressing this one. I also won’t count it towards the score to make it fair despite knowing how the game works. Just a slight disclaimer up front. Following the events of BBS, Aqua is now in the shadow realm. She been here for many years to the point where she had lost track of time and is slowly falling into the darkness. Still, Aqua has not given up and continues to try to find a way out. Can she escape this place? 0.2 is very short of course as it’s more of a prologue than a full game. I wouldn’t be surprised if this was initially going to be included in KH3 as the intro. It would be an ambitiously long one which would fit the series. It’s a lot of fun and also works well as a preview of how the next KH will play. It has a lot of polish in the gameplay and it’s fun throwing out the ole combos. A new mechanic or a least one that I didn’t remember is that you can now charge up a flurry of energy blasts to send at your opponent. It came in real handy during the final boss. The game is actually fairly difficult as you can’t really grind your level up to make it easy. You’ve just gotta roll with the level that is pre set. There did seem to be at least one cluster of heartless that you could maybe stay with to gain levels but it would take a long time and since the game isn’t very long it wouldn’t be all that worth it. The graphics are definitely excellent and could pass for being a movie. 0.2 still has the best opening out of all the KH titles as well, managing to beat out KH2 from the top spot. The song is definitely on point and I think it works as a good recap to BBS. These openings have always been very recaps and I look forward to seeing KHIII’s. As expected the soundtrack is also very good. I’ve heard the final boss themes many times as it played during the modded Smash 4’s final destination. It’s a 5 star ost to match the rest of the game. As far as replay value goes, there isn’t much here but you could try to grab all of the treasure chests and such to make sure you get all the trophies. Beating the game on proud mode will also probably be very hard and time consuming. The game thrives on quality over quantity. Of course we also have the movie which is about an hour. This serves as a prequel to the whole franchise which is cool. Of course we learned about the Great Keyblade War from BBS, but the movie shows what got the war started. There was a mysterious being who could see the future and he quickly got some pupils. He gave them all different tasks which nobody else could know. Then the master vanished. The prophecies quickly start to create a gap between the pupils and by the end you feel as though the war is inevitable. It’s definitely one of those fairly mysterious films where it doesn’t answer too many of the questions you may have. It’s more about understanding the basic premise of the origin and how we got to the war than exploring the timeline. It does a good job of doing that and each of the characters got a good amount of personality in this stretch in time. Prophecies can make people paranoid so it’s no surprise that everyone started to turn on each other by the end. They definitely don’t have the bonds that Sora and the others possess. The film is pretty fast paced and it will keep you entertained. I think showing it all at once like this is better than just giving bits and pieces through a game as it would probably be jarring to be fighting Sephiroth and afterwards you are suddenly in a flashback. Overall, Kingdom Hearts 2.8 is definitely a great game. 0.2 is another excellent expansion to the Kingdom Hearts series and the movie was pretty interesting. It is fairly short which just barely keeps it from the 9 but keep in mind that this is all by not counting the first game. For those of you buying the game and haven’t played the first one, then this quite easily jumps up to a 9. 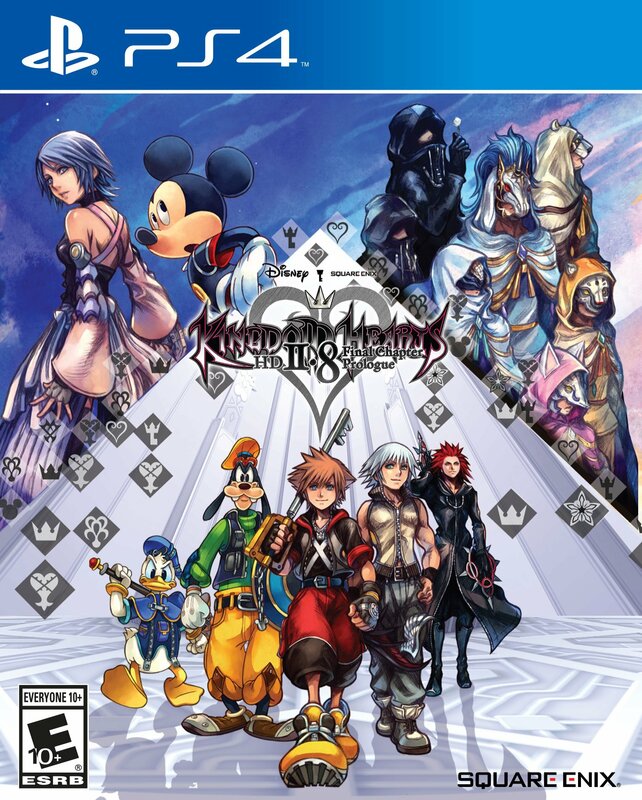 Either way I highly recommend buying this game and you better hurry since Kingdom Hearts III is right around the corner. It’s time to look at the second Incredibles film. It’s naturally been a long time since the first one so the question was really whether this sequel would go for nostalgia or just pick up where the first one left off. I think it did a good job of getting some nice nostalgia in the opening scene and then just going for the plot. Of course, you can do both and nostalgia is often a good thing, but with this method it’ll make watching both of them back to back very easy. After the Incredibles save the day once more we find out that times have changed. Heroes are now illegal so helping save the day is considered a crime. It’s related to the whole vigilante argument. The heroes come in and save the day but usually with a lot of property damage of which they aren’t exactly held liable. Heroes must go underground or be arrested. Mr Incredible doesn’t like this and wants to keep on being a hero while Elastigirl believes that they have to follow the law. Fortunately their debate is postponed when a rich guy named Winston shows up and declares that he will make heroes legal again. Of course, it’s going to be tricky to do so. First he thinks Elastigirl is the key as she can stop minor crimes and do so with no actual damage. He’ll even give her a camera so that the public can see how heroic she is. A new villain even shows up which is convenient for her. Maybe…too convenient. Is this guy hiding something? With the way the plot is set up you can probably guess right away that something is shifty here. Still, while you may guess part of how this will go down, it may be difficult to guess it completely, at least for a little while. It’s a good plot set up so it definitely works well. I do think the film did a good job of making Winston fairly likable. He’s a rich guy who is actually using his profits for good. He’s a slick business man but one with morals. That’s always nice to see. His sister Evelyn is a genius and is the other half of how the two became so rich. She does tend to bring up how Mr Incredible used to overshadow Elastigirl quite a lot though even when the heroine tries to debunk it. I’m glad that Elastigirl didn’t fall for the bait each time. Going back to the opening scene, it was definitely a solid way to start the film. Seeing the situation from this random kid’s perspective was pretty hype and worked to make the opening a little more suspenseful. It was also great to see the memory manipulator as it not only destroyed a possible romance plot before it even got started, but it felt like a homage to Men in Black. That’s definitely what you want to see. Meanwhile the animation still looks pretty nice as always. The character costumes are cool and the battles are fun. I don’t really think the first film had any big fights since there were no other heroes so it was cool to see them here. Lucius did a good job in the house where it was basically just him against a bunch of opponents. His ice abilities are very useful for such confrontations and I think he could have easily claimed a full win if he had just been a little more careful in the matchup. The soundtrack is less impressive as I can’t recall any really memorable tunes, but it wasn’t bad. Mr Incredible is good for the most part even if he does get pretty jealous of Elastigirl almost immediately. I would have thought he would be a better sport about the whole thing. I did agree with him on the moral debate of following a law though. They can’t just follow every law the way Elastigirl was saying they should. If a law is bad then it’s bad. You can’t quite follow it at that point. Still, Incredible did his best to look after the kids and did a good job there. He may not have done very well in the climax at times, (Losing in a battle of super strength to a random hero) but at the end of the day he did what he had to. Meanwhile Elastigirl was good. She used her powers very strategically throughout the film. This is particularly evident when she has to stop a train as that is pretty tough for someone with her powers, but she is able to maneuver very well. Her fight scene against the guy with the mask was also pretty solid. I like how he would throw in cheap shots while they were running. It’s the kind of thing you would expect a villain to do. Violet and Dash aren’t quite as solid. Considering that Violet knows about the memory manipulation I feel like she should have realized what was happening a lot sooner. It would have made more sense if she didn’t know that the heroes ever did that. Her barriers are handy though so I’d like to see her get in more fights. She just happened to fight someone that was a bad matchup for her. Portals are hard to defend against. Dash is still too young to be of much help in a fight which is a shame since his power is probably the best of the bunch. No way you should lose when you have super speed. As expected, Jack Jack doesn’t add much to the plot as he is just a baby. Still, he could have been worse. At least he doesn’t get too many scenes to himself. Meanwhile, Lucius continues to excel and is certainly the best character in the film. He does a good job during the house fight where it was 1 vs around 6 and shows a lot of natural leadership skills. He’s definitely the kind of ally that you want on your team. He seems more skilled and competent than Mr Incredible if we’re being honest. I do have some questions about the superheroes becoming illegal bit though. How are the heroes able to hide in plain sight so easily? Is this one of those laws that the government doesn’t really care about? Sort of a “look the other way” kind of deal because that’s the only way I can see them not arresting the heroes by now. Especially with how active they are. Maybe they would get fined the next time or something. It is taken to the extreme for humor of course like showing how they would rather the heroes not even try to stop the villains, but of course some media try to seriously make that case as well. The bottom line is that the citizens and government in these things don’t usually appreciate the danger of a super villain. It’s only once they blow up a city or something that they see why heroes are needed. 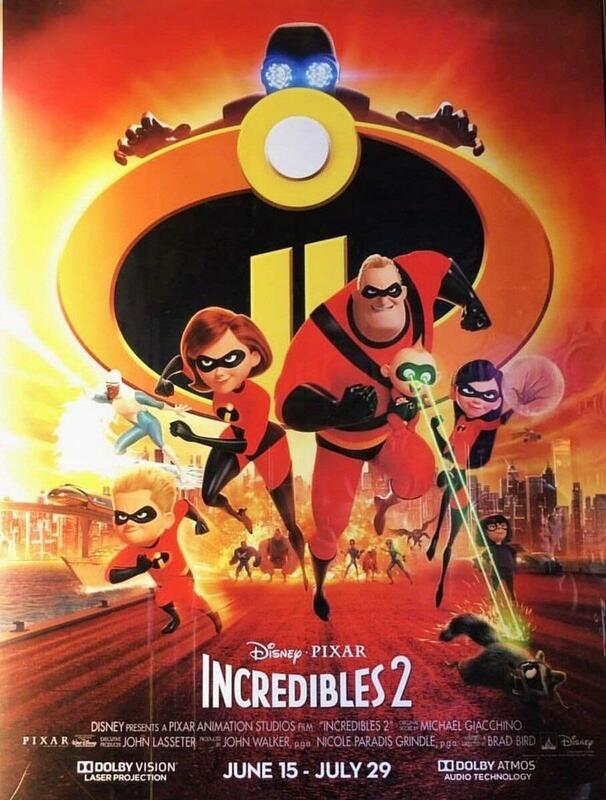 Overall, Incredibles 2 is definitely a fun sequel. It brings back everything you enjoyed about the first film and even manages to improve upon that. This is certainly a success in my book. While Mr Incredible himself may not be quite as impressive as he was in the first film, he’s still a fun lead at the very least. Hopefully by the third film he’ll be back to being the heroic lead that we’re used to seeing. If you haven’t seen this film yet then I’d say that it’s time to change that. there isn’t much gameplay to support that. to jump through. Then you unlock the “bad” ending. you aren’t given any indication that the game will end if you do this. game locks you out of it as a lot of older games used to do. that’s the part that sinks the game. It’s effectively an I-Spy game.